New York City is known for museums, nightlife, shopping, historic sites, and parks. Your plan includes some of its best attractions: go for a walk through Central Park, explore the world behind art at The Metropolitan Museum of Art, enjoy breathtaking views from Empire State Building, and admire the striking features of Grand Central Terminal. For maps, where to stay, traveler tips, and tourist information, read our New York City trip planner . Bristol, UK to New York City is an approximately 12.5-hour combination of train, flight, and bus. You can also do a combination of train and flight; or do a combination of train, flight, and bus. The time zone difference moving from Greenwich Mean Time to Eastern Standard Time is minus 5 hours. In February, daily temperatures in New York City can reach 9°C, while at night they dip to -1°C. Finish up your sightseeing early on the 4th (Wed) so you can travel to Washington DC. Washington DC is known for museums, historic sites, nightlife, zoos & aquariums, and parks. 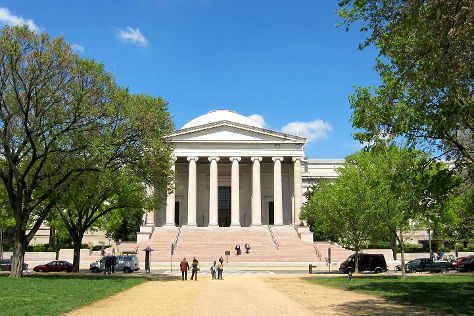 Your plan includes some of its best attractions: admire the masterpieces at National Gallery of Art, contemplate in the serene atmosphere at Washington National Cathedral, stroll through National Zoological Park, and ponder the world of politics at White House. To see photos, ratings, other places to visit, and more tourist information, refer to the Washington DC road trip website . Getting from New York City to Washington DC by flight takes about 3.5 hours. Other options: take a train; or drive. Traveling from New York City in March, you will find days in Washington DC are somewhat warmer (15°C), and nights are about the same (3°C). Wrap up your sightseeing on the 7th (Sat) to allow time to travel to Chicago. Chicago is known for museums, historic sites, nightlife, zoos & aquariums, and childrens museums. Your plan includes some of its best attractions: admire the masterpieces at The Art Institute of Chicago, explore and take pictures at Wrigley Field, enjoy breathtaking views from Skydeck Chicago - Willis Tower, and see the interesting displays at The Field Museum. To find maps, more things to do, where to stay, and more tourist information, read Chicago online holiday planner . Traveling by flight from Washington DC to Chicago takes 4 hours. Alternatively, you can do a combination of train and flight; or drive. The time zone difference when traveling from Washington DC to Chicago is minus 1 hour. Traveling from Washington DC in March, things will get slightly colder in Chicago: highs are around 8°C and lows about -1°C. Finish your sightseeing early on the 10th (Tue) to allow enough time to travel to New Orleans. On the 11th (Wed), get to know the fascinating history of Garden District, then brush up on your military savvy at The National WWII Museum, and then make a trip to Jackson Square. On the 12th (Thu), you'll have a packed day of sightseeing: contemplate in the serene atmosphere at St. Louis Cathedral, then make a trip to French Quarter, and then stroll through New Orleans City Park. To see reviews, ratings, and other tourist information, use the New Orleans trip itinerary builder site . Fly from Chicago to New Orleans in 4.5 hours. Alternatively, you can drive; or take a train. When traveling from Chicago in March, plan for a bit warmer days in New Orleans, with highs around 19°C, while nights are warmer with lows around 19°C. Finish up your sightseeing early on the 12th (Thu) so you can travel to Key West. Step out of Key West with an excursion to National Key Deer Refuge in Big Pine Key--about 50 minutes away. There's lots more to do: see the interesting displays at The Ernest Hemingway Home and Museum, steep yourself in history at Curry Mansion, take an in-depth tour of Truman Little White House, and see majestic marine mammals with a dolphin and whale watching tour. To find where to stay, maps, more things to do, and other tourist information, use the Key West trip planner . Traveling by flight from New Orleans to Key West takes 6.5 hours. Alternatively, you can do a combination of flight and shuttle; or drive. The time zone difference when traveling from New Orleans to Key West is 1 hour. Expect somewhat warmer temperatures when traveling from New Orleans in March; daily highs in Key West reach 30°C and lows reach 24°C. Finish up your sightseeing early on the 15th (Sun) so you can go by car to Orlando. Pack the 16th (Mon) with family-friendly diversions at Universal's Islands of Adventure. Have a day of magic on the 17th (Tue) at Walt Disney World Resort. Next up on the itinerary: get in on the family fun at Universal Orlando Resort, make an unforgettable trip to Happily Ever After Fireworks, and meet the residents at SeaWorld Orlando. To find maps, traveler tips, and other tourist information, read Orlando attractions planner . Traveling by car from Key West to Orlando takes 7.5 hours. Alternatively, you can take a bus; or do a combination of bus and train. Traveling from Key West in March, expect a bit cooler with lows of 17°C in Orlando. Wrap up your sightseeing on the 20th (Fri) early enough to travel to Las Vegas. Step out of Las Vegas with an excursion to Hoover Dam in Boulder City--about 50 minutes away. There's much more to do: ponder the design of Bellagio Fountains, try to win big at New York New York Casino, examine the collection at The Neon Museum, and take in panoramic vistas at Eiffel Tower Viewing Deck. To find maps, other places to visit, and tourist information, go to the Las Vegas trip maker site . Fly from Orlando to Las Vegas in 9.5 hours. Alternatively, you can drive; or take a bus. The time zone changes from Eastern Standard Time (EST) to Pacific Standard Time (PST), which is usually a -3 hour difference. Plan for a bit cooler nights when traveling from Orlando in March since evenings lows in Las Vegas dip to 13°C. Wrap up your sightseeing on the 24th (Tue) early enough to travel to Grand Canyon National Park. On the 27th (Fri), hike the day away at Bright Angel Trail. There's much more to do: take in breathtaking views at Grand Canyon South Rim, hike along Rim Trail, get great views at Lipan Point, and tour the pleasant surroundings at South Kaibab Trail. For ratings, traveler tips, other places to visit, and more tourist information, you can read our Grand Canyon National Park visit planner. Traveling by combination of car and flight from Las Vegas to Grand Canyon National Park takes 4.5 hours. Alternatively, you can drive; or take a shuttle. The time zone difference moving from Pacific Standard Time (PST) to Mountain Standard Time (MST) is 1 hour. Traveling from Las Vegas in March, you will find days in Grand Canyon National Park are slightly colder (16°C), and nights are much colder (-5°C). Wrap up your sightseeing on the 29th (Sun) early enough to drive to Los Angeles. Venture out of the city with trips to Anaheim (Disneyland Park & Disney California Adventure Park). Pack the 1st (Wed) with family-friendly diversions at Universal Studios Hollywood. The adventure continues: see the interesting displays at The Getty Center, admire the masterpieces at Los Angeles County Museum of Art, partake in some friendly competition at Fantastic Race, and admire the landmark architecture of Bradbury Building. For reviews, maps, ratings, and other tourist information, read our Los Angeles trip itinerary website . Traveling by car from Grand Canyon National Park to Los Angeles takes 7.5 hours. Alternatively, you can do a combination of bus and flight; or do a combination of shuttle and flight. Due to the time zone difference, you'll gain 1 hour traveling from Grand Canyon National Park to Los Angeles. When traveling from Grand Canyon National Park in March, plan for a bit warmer days in Los Angeles, with highs around 27°C, while nights are much warmer with lows around 14°C. Finish your sightseeing early on the 3rd (Fri) so you can drive to San Diego. When in San Diego, make a side trip to see Self Realization Fellowship Hermitage & Meditation Gardens in Encinitas, approximately 46 minutes away. There's still lots to do: admire nature's wide array of creatures at San Diego Zoo, pause for some photo ops at Cabrillo National Monument, tour the pleasant surroundings at Torrey Pines State Natural Reserve, and examine the collection at Maritime Museum of San Diego. To see ratings, more things to do, photos, and more tourist information, read San Diego sightseeing website . Drive from Los Angeles to San Diego in 2.5 hours. Alternatively, you can take a bus; or fly. Expect a daytime high around 25°C in April, and nighttime lows around 17°C. Finish your sightseeing early on the 6th (Mon) so you can travel to Honolulu. When in Honolulu, make a side trip to see Kailua Beach Park in Kailua, approximately 32 minutes away. And it doesn't end there: explore the different monuments and memorials at USS Arizona Memorial, hike along Manoa Falls, enjoy the sand and surf at Waikiki Beach, and explore the activities along Hanauma Bay Nature Preserve. For other places to visit, more things to do, reviews, and more tourist information, you can read our Honolulu route planner. Traveling by flight from San Diego to Honolulu takes 7.5 hours. Due to the time zone difference, you'll gain 2 hours traveling from San Diego to Honolulu. In April, Honolulu is a bit warmer than San Diego - with highs of 33°C and lows of 25°C. Finish your sightseeing early on the 9th (Thu) to allow enough time to travel to San Francisco. San Francisco is known for nature, museums, nightlife, shopping, and childrens museums. Your plan includes some of its best attractions: snap pictures at Golden Gate Bridge, make a trip to Golden Gate Park, explore the wealth of natural beauty at Alcatraz Island, and engage your brain at California Academy of Sciences. For reviews, other places to visit, and more tourist information, go to the San Francisco tour builder tool . Traveling by flight from Honolulu to San Francisco takes 7.5 hours. Alternatively, you can do a combination of flight and train. You'll lose 2 hours traveling from Honolulu to San Francisco due to the time zone difference. When traveling from Honolulu in April, plan for slightly colder days and cooler nights in San Francisco: temperatures range from 22°C by day to 12°C at night. Wrap up your sightseeing on the 14th (Tue) to allow time to drive to Yosemite National Park. On the 15th (Wed), spend an exhilarating day on the slopes at Yosemite Ski and Snowboard Area. Spend the 17th (Fri) exploring nature at Elizabeth Lake, Yosemite National Park. 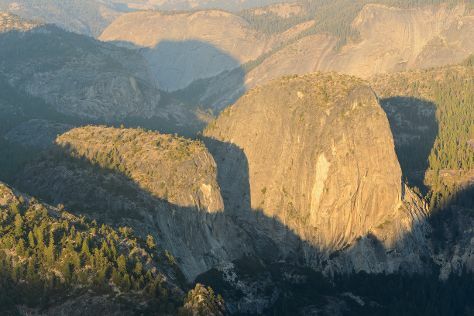 There's still lots to do: take in the dramatic natural features at Glacier Point, hike along Mariposa Grove of Giant Sequoias, make a trip to Yosemite Conservation Heritage Center, and admire the sheer force of Vernal Fall. To see traveler tips, ratings, other places to visit, and more tourist information, read Yosemite National Park attractions planner . Traveling by car from San Francisco to Yosemite National Park takes 4 hours. Alternatively, you can do a combination of flight and car; or do a combination of flight and bus. When traveling from San Francisco in April, plan for slightly colder days and cooler nights in Yosemite National Park: temperatures range from 17°C by day to -2°C at night. Wrap up your sightseeing on the 19th (Sun) early enough to travel to Yellowstone National Park. Yellowstone National Park is known for nature, wildlife, trails, historic sites, and nightlife. Your plan includes some of its best attractions: explore the stunning scenery at Grand Canyon of the Yellowstone, take your sightseeing to a higher altitude at Elephant Back Mountain, stroll through Monument Geyser Basin, and witness a stunning natural landmark at Aurum Geyser. 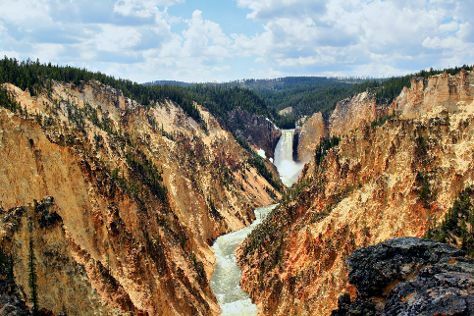 For reviews, more things to do, photos, and other tourist information, you can read our Yellowstone National Park online travel route planner . You can do a combination of car and flight from Yosemite National Park to Yellowstone National Park in 10 hours. Another option is to do a combination of bus, flight, and car. The time zone changes from Pacific Standard Time (PST) to Mountain Standard Time (MST), which is usually a 1 hour difference. Traveling from Yosemite National Park in April, things will get little chillier in Yellowstone National Park: highs are around 6°C and lows about -9°C. Finish up your sightseeing early on the 23rd (Thu) so you can travel back home.